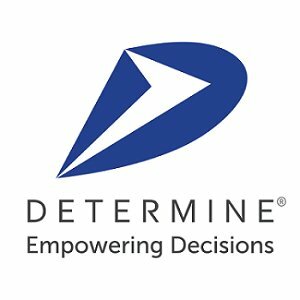 Determine, Inc. (NASDAQ: DTRM) is a leading global provider of SaaS Source-to-Pay and Enterprise Contract Lifecycle Management (ECLM) solutions. The Determine Cloud Platform provides procurement, legal and finance professionals analytics of their supplier, contract and financial performance. Determine's technologies empower customers to drive new revenue, identify savings, improve compliance and mitigate risk. With Determine's Asset Management, you can ensure better compliance in regards to auditing and reporting requirements and improve asset tracking. This app simplifies identifying fixed assets and managing the asset stock using parameters you set, like serial number and history of associated purchases. Contracts establish more than terms and conditions. They instill confidence, and let everyone involved know what was negotiated, what’s deliverable, what’s expected. So Determine's Contract Management solution on the Determine Cloud Platform makes them easy to create, with self-service and collaborative features that make day-to-day searching, authoring and contract administration easy and productive. Verified, real-time shared data on the Determine Core gives all stakeholders the visibility and insights to turn every contract into a leveragable decision making tool. The Determine Cloud Platform deeper capabilities let you do more than scratch the surface on spend, risk and saving. Master Data and Business Processes give you the visibility, collaboration and control to be more competitive. Technology that pushes boundaries, not sets them. Welcome to Platformance—all the breadth and depth you need is just a login away. An Enterprise CLM strategy requires the most robust and flexible CLM solution available. Determine ECLM provides unmatched capabilities to strengthen and tap the value of your total contract portfolio to drive organizational and financial initiatives. Determine’s Cloud Platform-based Financial Management Solution extends their robust P2P capabilities by empowering you to control your spend on both a day-to-day and long-term basis. Determine aligns budget management and cost allocation efforts with spend management. Through complete 360° visibility over procurement budget activities and accounting data, you improve the alignment of procurement and finance with wider organizational goals. Consolidating budgets, cost centers, GL accounts and analytic code data on one comprehensive platform gives procurement and financial leaders exceptional insights and control to make more informed decisions about budget and spend management forecasting. With Determine's Inventory Management, save time and money by promoting inventory efficiencies across physical and virtual warehouses using automatic replenishment. You can inventory stocked items including stock transactions, location management and restocking. Beyond transactions: Procurement as an enterprise strategy. Global supply chains are getting more complex and dynamic. Gain greater control over spend with Determine's industry-leading cloud procurement technology. Take full advantage by encouraging user buy-in to improve compliance, and to suppress mavericks spend. End-to-end modular configurability empowers users across your enterprise with deeper, more advanced capabilities and practical tools, customized to your needs. Determine's Sourcing solution gives you an uninterrupted flow of information throughout the entire sourcing process. Seamless integration between sourcing, supplier information and analytics empowers you to achieve best value. Totally configurable and scalable, easy to implement and simple to use for rapid adoption. Do more than just run sourcing events: go deeper and convert your activities into actionable decisions. With a solution that rapidly pays for itself. Determine's Supplier Management solution provides you a portfolio of capabilities that enable you to start building on supplier strengths, even before they’re fully onboarded. From validation and certification to scorecarding, contract compliance and beyond, you’ll gain the insights needed to create stronger, more agile and collaborative supplier-centric relationships to maximize value, align goals and drive KPIs.